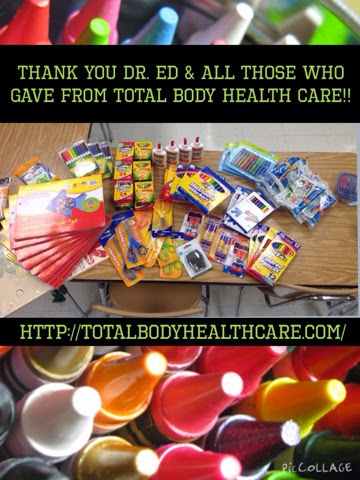 Every year I am encouraged...and blessed by the art supply drive Dr.Ed does for my friend Julie and I. The gifts help stretch the money we do receive from school farther! I honesty would not be able to do all I do without the generousity of Dr. Ed & his practice members! Thank you Total Body Health Care!